If the legacy of LucasArts – and, as a direct result, the continued success of independent studios such as Double Fine – has proven anything, it’s that point-and-clicks are almost always better with a healthy dose of humour. A sense of razor-sharp wit, self-deprecation and black comedy have helped make the likes of Day of the Tentacle and Grim Fandango timeless in a way that transcends their era, so it’s fitting one of the latest additions to the genre should follow in those slapstick footsteps. 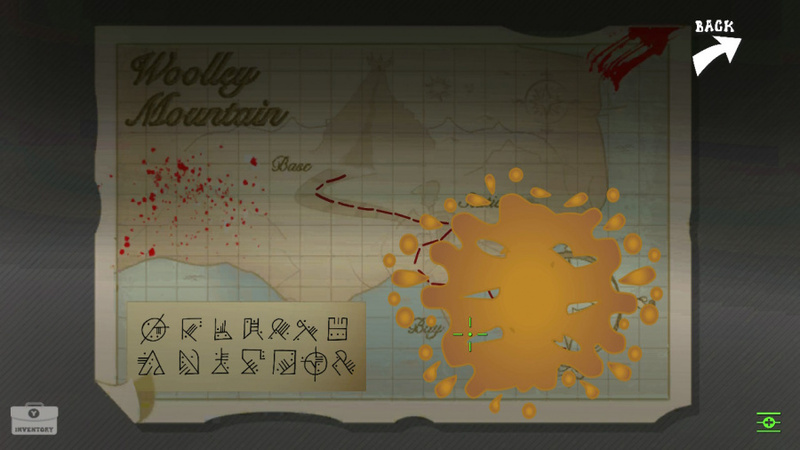 The Mystery of Woolley Mountain first popped up on our radar back in the summer of 2017 when it bagged enough funding to succeed in its crowdfunding campaign. Even Ron Gilbert, one of the godfathers of point-and-click, showed his support by publicly backing the game. So, almost two years on, the escapades of a top-hatted scientist Garland and his gang of fellow adventurers are finally ready to touch down on Nintendo Switch. Much like so many other entries in the genre, Woolley Mountain is a slow and steady experience all about clicking everything on-screen, filling up your inventory with items and solving puzzles with said objects. If you’ve played a Broken Sword or something along the lines of Machinarium, you’ll feel right at home here. You can control the action with the Joy-Con or revert to the touchscreen, with a simple press of ‘Y’ opening up your inventory on a sidebar to the far-left of the screen. As with most console-bound point-and-clickers, using the analog sticks is an exercise in tedium (even with the ability to increase cursor speed) so playing in handheld with the touchscreen is the optimum way to enjoy this tongue-in-cheek adventure. For the most part, you control the Helmholtz Resonators, a bunch of oddball audio scientists who travel through time in pursuit of musical delights. They’re a strange bunch, led by the puffed-up posho Garland, who bosses his fellow travellers about while attempting to hide his own insecurities. Then there’s the rowdy, moonshine-swigging Carlton, token inventor cliche Frithel, robotic butler Auto and Vandamme (the Resonator who finds himself captured at the start of the game, which in turn kicks off the events of the game). You’ll start off aboard your souped-up submarine, but once you’ve rounded-up your strange brigade you’ll be travelling across time and space as you attempt to thwart a menagerie of monsters and foes. And while it might be going for an almost Garth Marenghi’s Darkplace-style feel, Woolley Mountain isn’t dark or scary in the slightest. It’s purposefully weird and wacky in a family friendly way, tapping into a low-fi approach to sci-fi that really sells its Britishness. And while a fair few of its jokes fall flat, there’s a real sincerity to its execution that’s likely to make you crack a smile or two here and there. 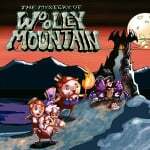 Thankfully, the two most important elements of a point-and-click game – the strength of its story and the complexity levels of its puzzles – are on form in Woolley Mountain. If you’re new to this kind of title, the opening hour or so helps you acclimate to the world of item combination but it’s not long before these brain teasers start to really tease the brain. They do sometimes verge on the overly obtuse, but then again most entries in the genre are guilty of this. There’s almost always a sense of systemic logic, with one solution often leading to another or a new conundrum teased before you’ve finished the current task. The delivery of the voiceover work ranges from genuinely funny to so bland you’ll think it’s just placeholder speech the developer forgot to swap out, so expect to cringe as much as you laugh. That inconsistency in quality is balanced out somewhat by the sheer amount of references to British pop culture and gaming history. Look closely and you’ll see reference to some indie retro gaming sites or a poster for ’80s claymation kids show The Trap Door. 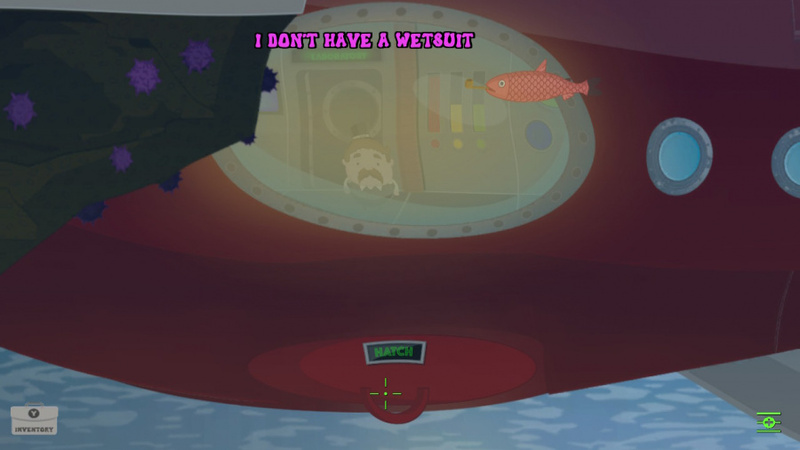 It’s a game that uses its Britishness to really sell its oddball personality, and it works for the most part. 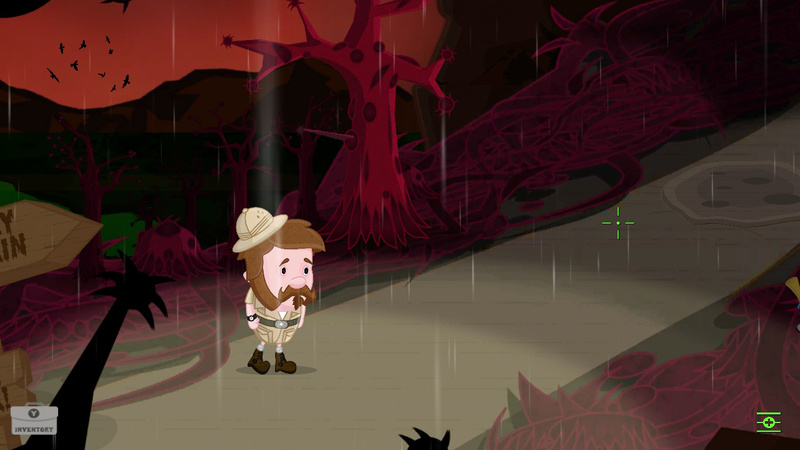 Considering this is also the work of tiny indie team – who also put together an eclectic soundtrack that flits from synth to folk and beyond – the strength of its puzzles and story stand out even more. I plan on picking this up tomorrow or Friday. I heard the name but all I can think of is this! Look out, he's got a stick. I do love a good point n click adventure, but I find nothing can compare to the classics released during the golden age of LucasArts. Discworld and Simon the Sorcerer came very close mind you! @Franklin blood. Blood. Blood... and bits of sick. I have a feeling we'd get on, what with you knowing Darkplace AND basing your account on my favourite bumbling magician/ventriloquist's racially insensitive pal.